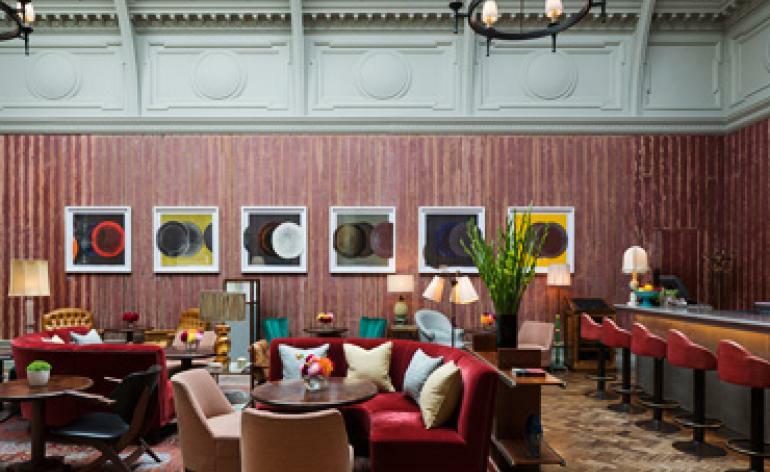 Set within the Royal Academy’s Keepers House, The Academicians’ Room is a private members club for artists and art lovers. It was renovated in 2015 by Martin Brudnizki Design Studio, retaining original timber paneling and adding an eclectic mix of vintage furniture. 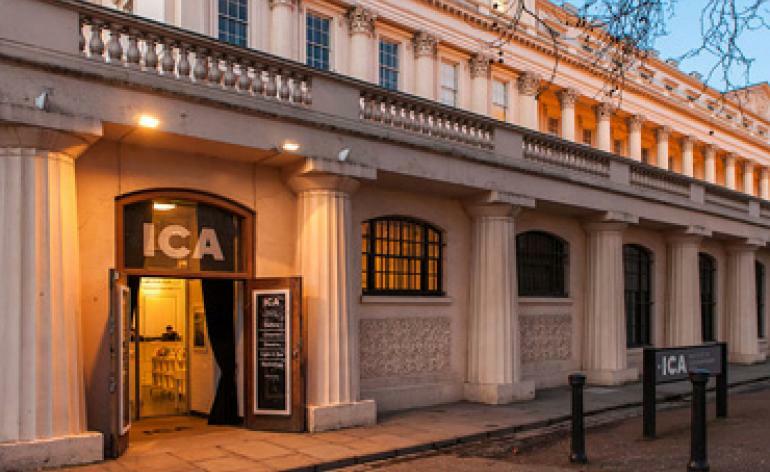 Its walls play host to rotating exhibitions by Royal Academicians, currently the Ghanaian sculptor El Anatsui, who made his name with tapestries made from discarded aluminium caps. For his new series of prints, titled Benchmark, Anatsui 3D-scanned his wooden worktops, transferred them onto aluminium plates, and printed them on an etching press. He was recently awarded the Praemium Imperiale for Sculpture, one of the highest honours in the arts. Coinciding with the Royal Academy exhibition ‘Matisse in the Studio’, Bernard Jacobson Gallery has organised an exhibition of the French artist’s paintings, sculpture, drawings and prints. 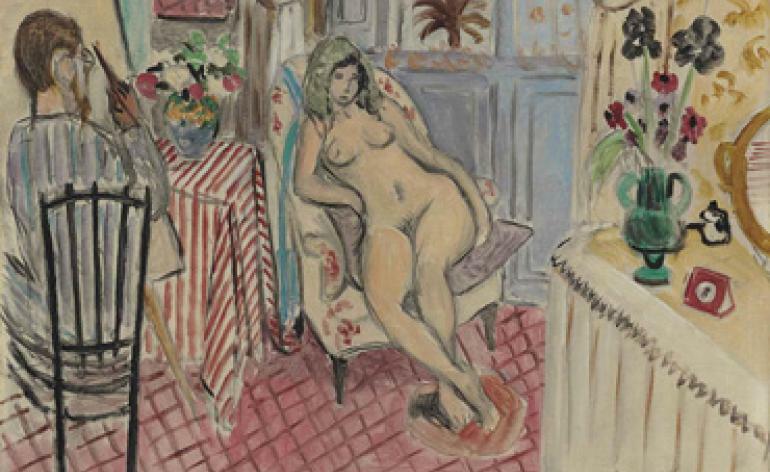 Significant pieces include L’Artiste et le modèle nu, a rare self-portrait which shows Matisse painting one of his most important models, Antoinette Arnoud; Nu aux jambes croisées, a sensual painting of Matisse’s assistant Lydia Delektorskaya; and Tête du Marguerite, an enigmatic portrait bust of the artist’s daughter. Designed by Nick Gowing Architects, the gallery occupies the lower levels of the mid-century French Railway House, at the intersection of Piccadilly and Duke Street St James’s. ‘From the Vapor of Gasoline’ at the White Cube Mason’s Yard captures a resonant moment in American history, in which post-war optimism gave way to a sense of disillusion and political awakening. 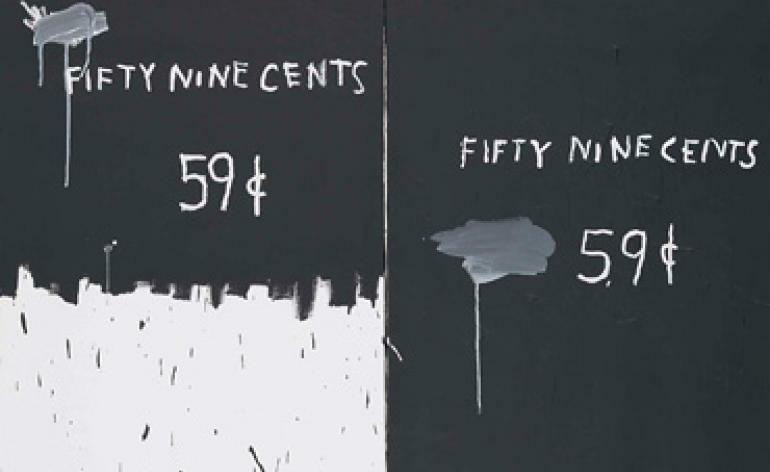 Bringing together artists such as Jean-Michel Basquiat, Robert Mapplethorpe, Richard Prince, Barbara Kruger and Jenny Holzer, the show grapples with racial tensions, economic disparity, sexual oppression and violence, but also suggests that the end of the American dream as we know it may lead to a renewed sense of citizenship. The 1,110 sq m gallery is itself an architectural attraction – designed in 2006 by Rundell Associates, its clean lines stand in contrast to the historic brick structures in its vicinity, and its double-height basement gallery offers space for larger installations. Sims Reed Gallery presents an exhibition of original prints by post-war and contemporary artists, with an emphasis on British Pop. Artists include David Hockney, Sol LeWitt, Richard Estes, Eduardo Paolozzi, Allen Jones and Gerald Laing. 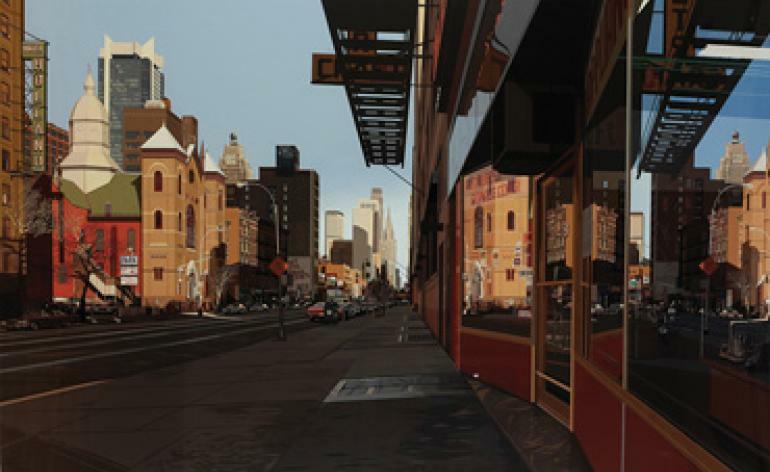 Particularly of note is Richard Estes’ screenprint, Holland Hotel, which shows a view of New York’s 42nd Street and demonstrates the artist’s masterful control of spatial illusion (pay attention to the reflections on the shop window on the right). It took approximately 180 colours to create its three-dimensional effect. The gallery has specialised in prints and works on paper since 1995, and aims to show the important part that printmaking plays in the work of 20th-century artists. 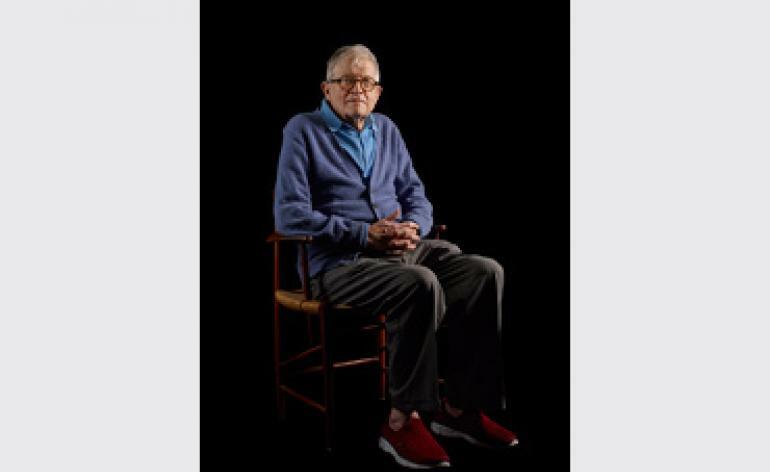 Drawing inspiration from 17th-century European portraiture, American photographer Catherine Opie has created a series of studio portraits of fellow artists and friends, including David Hockney, Gillian Wearing, Duro Olowu and Isaac Julien. Her theatrically-lit sitters are rendered in seductive detail to evoke their inner worlds, and viewers are encouraged to stop and stare. The portraits are punctuated with a new landscape, Untitled #15, which reduces the White Cliffs of Dover to abstract form, alluding to change at the frontier of the UK and the European mainland. The gallery’s design, by David Kohn Architects, involved stripping back layers of interior linings in the Grade II-listed building to reveal idiosyncratic ceiling structures. The group show at design gallery David Gill has an appropriately ambitious title, ‘Future Classics’. 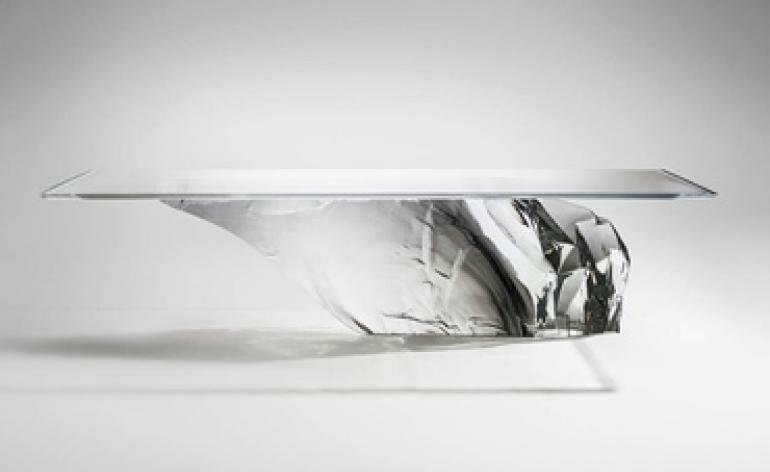 Its exhibits include a curvaceous, polished aluminium coffee table and fibreglass shelf by the late Zaha Hadid, Anglo-Swedish duo Fredrikson Stallard’s Antarctica tables (crafted from acrylic to evoke the form of icebergs), a sculptural cabinet by Swiss designer Mattia Bonetti, and cast bronze chairs by American artist Michele Oka Doner which were moulded from found wood and bark. Keep an eye out for British artist Barnaby Barford’s Jungle VIP Chandelier, which shows a black crystal-encrusted monkey gleefully swinging from a more traditional light fixture – as though tomorrow doesn’t exist. Known for his line drawings of ordinary objects, artist Michael Craig-Martin has brought his distinctive style into paintings, prints and even sculpture (a red wheelbarrow became a crowd favourite at this year’s Frieze Sculpture Park). His solo presentation, ‘Quotidian’ occupies both levels of Alan Cristea Gallery. 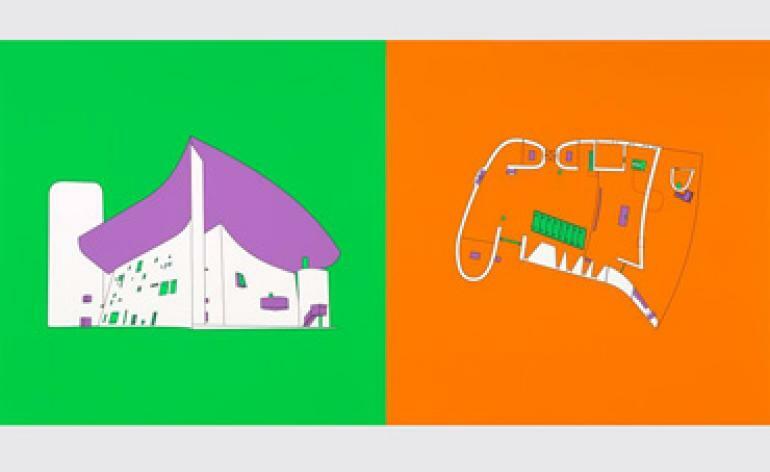 The Design and Architecture screen-print series juxtapose the furniture designs of Le Corbusier, Frank Lloyd Wright and Mies van der Rohe with their iconic works of architecture, while Then and Now superimposes drawings of older technologies with their contemporary equivalents (e.g. the cassette and Spotify). Don’t miss his new tape drawings, depicting items including a Macbook Air, a Yeezy Boost trainer and a basketball. Hoping to ‘paper the world in original art’, Alan Cristea opened his eponymous gallery in 1995 and is a leading publisher of original contemporary prints and editions. In October 2016 the gallery moved into its current space, designed by Stephen Marshall Architects. The world’s first Institute of Contemporary Arts, founded in 1947 has been undergoing a facelift courtesy of David Kohn Architects – whose ongoing projects include a new photography centre for the V&A and two buildings for the Greenwich Peninsula design district. A new bar and canteen, run by Arnold & Henderson (the brains behind East London cult favourite Rochelle Canteen) opened this month, with a daily changing menu that promises honest, classic cooking. Join us for a drink to conclude the St James’s Art and Design Walk and feel free to meander around the galleries, which are showing film and video works by the New York artist Seth Price.